Until recently, the company was owned by Facom Tools and the Stanley Corporation. Now, once again it is an independently owned company, fully responsible for its own development. Sykes-Pickavant is a UK market leader in the supply of Specialist Automotive Tools and Hand Held Diagnostic Equipment. Sykes-Pickavants’ ‘Workshop Solutions' specialist tools products, are carefully designed to solve particular problems - often making a difficult job, easy and quick. We have a commitment to developing the tools that will be used by tomorrow's technicians, and investing in a continuous programme of applications research and development. 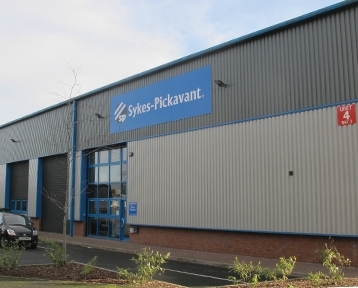 This has kept Sykes-Pickavant at the forefront of automotive service & maintenance technology. Our programme of Hand Held Diagnostic products, bring a whole range of opportunity to the independent garage trade. The range includes engine management systems testers, electronic service tools, pressure and vacuum testers, and gas analysers. With these instruments almost any vehicle on the road can be confidently serviced to the manufacturer’s specification in the shortest time. The comprehensive range of Sykes-Pickavant Body Repair tools has a dedicated worldwide following. There are special tools for every part of a car’s bodywork. We have received the first ever accreditation from the Motor Industry Insurance Research Centre at Thatcham (UK) for Body Repair Tools. For our Industrial customer base, Sykes-Pickavant continues to be a world leader in both mechanical and hydraulic Pulling & Extracting products, for the removal of anything from bearings, to gears, flywheels, races and seals. Sykes-Pickavant products are available through all major distributor groups in both the Automotive and Industrial sectors in the UK, and are also available through specialist distribution partners in most countries Worldwide.